A recent Ruling of the Day at the United States Golf Association website missed an opportunity to remind golfers of a basic requirement of golf course etiquette. The ruling asked a deceptively straightforward question about when a golfer can clear the way for his putt. On the putting green, loose impediments can be removed from the projected path of the ball toward the hole. For this question, the issue was whether the golfer could remove any dew or frost on the closely mown turf before making his putt. According to the USGA, the answer is a simple no. Neither dew nor frost are considered loose impediments. Therefore, any golfer who sweeps aside any of the wet stuff violates Rule 16. That is a 2-stroke penalty in medal play and a loss of hole penalty in match play. I do not take issue with the USGA’s guidance, as far as it goes. What I find troubling is the unspoken assumption that is perfectly OK to putt on a frost-covered green. Frost is an inevitable part of wintertime golf in most of the United States, with the possible exception of golf courses in Hawaii. Golfers should avoid playing on frosted turf, however, because of the near-certain damage their shoes will cause to the grass. Golf courses in the Cape Region and elsewhere usually delay their normal morning opening times when frost is on the ground, to give the warming sun the opportunity to thaw the ice before the golfers reach the first tee. On those rare occasions when frost remains on the greens during play, I would hope that careful golfers would treat frost as if it were casual water – which, except for being frozen, it is. Under casual water rules, golfers could move their ball to an unfrosted area open to the hole, no closer than where it lay before the discovery of the frost. That approach would help preserve the greens while still respecting the Rules of Golf. Thanks for the nice feedback on last week’s column about Shawnee Country Club and its potential lease to the operators of The Rookery Golf Club of Milton. We’re still working toward that goal, and will let you know when that process is completed. In the meantime, golf courses remain in troubled condition elsewhere. The Jan. 18 News-Journal reported that the Brandywine Country Club, a Tull-designed 18-hole layout north of Wilmington, had been sold to a developer. The piece mentioned the club’s long history and its current financial troubles. The developer leased the course back to the club for the next three years at $1 per year, but the writing is on the wall for the 111-acre parcel. The struggle continues in unexpected places as well. In early January, the owners of Pecan Valley Golf Club in San Antonio, Texas, announced they were closing the nearly 50-year-old course. The 18-hole layout once hosted a PGA Championship and a few Texas Opens in the late 1960s. Despite the course averaging 25,000 rounds per year, the owners reportedly said that it was no longer profitable. On several occasions, takeovers by the states become the chosen alternative to closing. That is what Delaware did in purchasing the Garrisons Lake course in Smyrna and the former DuPont/MBNA Deerfield course, adjacent to the Louviers property near Newark. New Jersey’s Department of Environmental Protection acquired four golf courses under its Green Acres program. In 2009, DEP bought Cream Ridge Golf Club in Freehold, N.J., and for the time being it is closed. 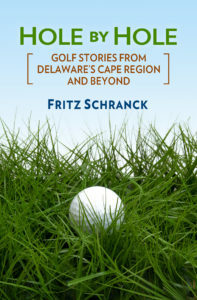 In this case, however, the closure is temporary, while an ongoing bid dispute is resolved in the state’s courts concerning two competing golf operators seeking the contract to run the course. I’m sure the Garden State officials would like that suit ended as soon as possible, in order to complete the wintertime work needed to open the course when spring arrives.